KAP Leader and Federal Member for Kennedy Bob Katter has joined in calling on the Prime Minister to immediately intervene to stop the relocation of nappy production to Asia. 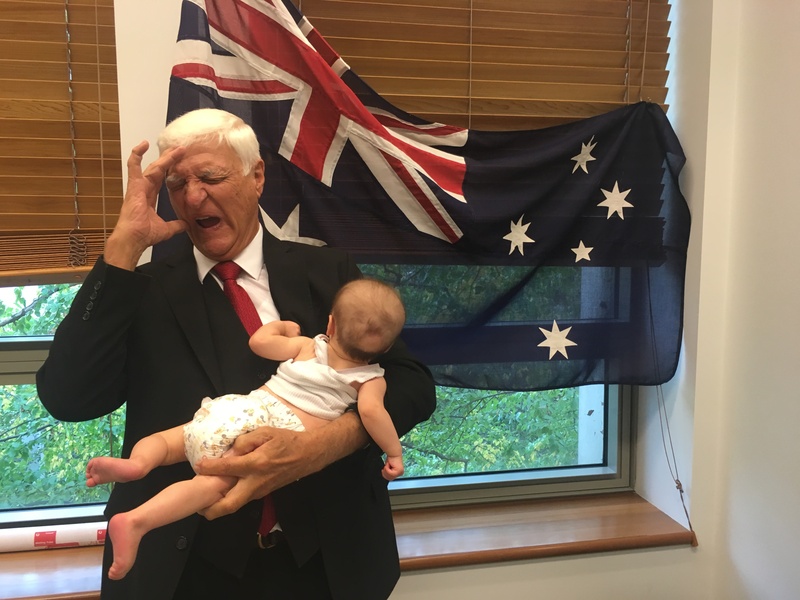 Mr Katter with baby in Huggies nappy, Australian flag and a bad smell. Photo Credit – Anne Pleash. N.B. Mr Katter was unable/unwilling to verify if the baby’s nappy was dirty, or not.